If one of our goals as educators is to help our students engage effectively and meaningfully in global communities of practice, then we, as facilitators of learning experiences, must be able to do so as well. We began our semester together with a discussion about social networking and how a communities of practice framework would guide our work. In our final session together we’ll reflect on our experiences learning and teaching in communities of practice that extend beyond the time and space constraints of traditional course environments. Based on your experiences thus far, how could and will sharing and collaborating in these online environments shape our and our students’ learning environments? What will we all gain? I’d like to take this opportunity to thank you all for enriching my communities of practice and for helping me to grow as a learner and educator. I hope we continue to learn with and from each other! For the second year in a row, we’ll be participating in the Global Education Conference, a completely free, online conference that seeks “to significantly increase opportunities for building education-related connections around the globe while supporting cultural awareness and recognition of diversity.” As literature, culture and language educators ourselves, conferences such as this must surely find resonance and the open and global nature of this conference will allow us to experience yet another aspect of the communities of practice framework that guides our work together here. Following on what we did last year, we’ll all participate in a minimum of two live sessions of your choice which you will then blog about here, reflecting on what you learned and experienced. Please extend the learning by commenting on each other’s posts as you’ve done all semester with your previous postings! We’ve a busy week ahead of us with the upcoming Global Education Conference and our rescheduled session with Ira Socol this Wednesday from 11:30 to 12:30 EST. I’m very glad that Ira has been able to make time in his busy schedule to talk with us. Prior to our open, online session with Ira, please review your questions for him as we will use these as the basis for our discussion with him. Ira has also responded to your questions and you can find his responses here. UPDATE: The recording of our session with Ira Socol on universal design for learning and assessment is now up. When you read his posts you’ll find thought-provoking insights and resources that will help you on your journey as learners and learning facilitators. 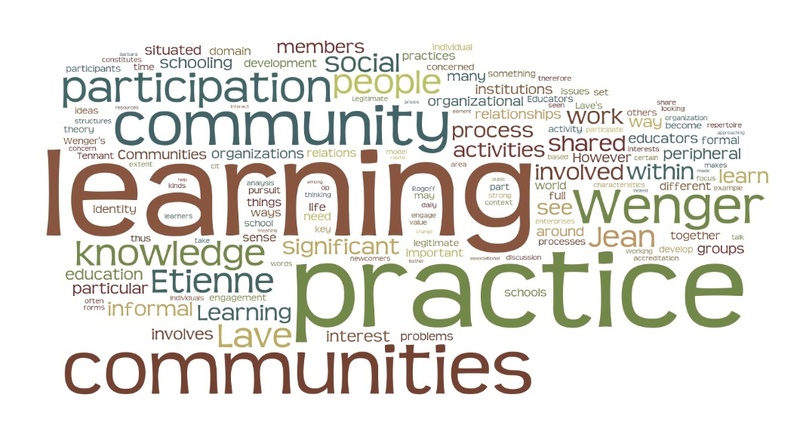 And finally, three past members of our course cohort and I will be sharing the ways in which our course components help prepare us to learn and teach in global communities of practice. We would love to have you share your insights and experiences with us as well if you have the time. We’ll be presenting on November 15 from 4-5 p.m. EST. Here is the link to our session proposal. Here is the recording of our Global Ed Conference session. This week we will examine the role of mobile devices in learning. One of our shared readings, the 2011 Horizon Report, predicts that mobiles will increasingly become part of our teaching and learning environments and sooner rather than later. Several institutions of higher education, such as Abilene Christian University, have taken the lead in action research projects focusing on the educational uses of mobile technologies, as discussed in the other common content we share for this week. It would be hard to argue that the iPad and similar devices will not change the way we teach and learn. And with the introduction of natural language, voice-based computing as exemplified by Apple’s Siri, it seems more likely that Pattie Maes’ and Pranav Mistry’s SixthSense prototype demonstrated in the video above could see mainstream adoption. What is it about these devices that could fundamentally change the way we interact with our world? Have they already? If so, in what ways? How are they similar to and yet different from our desktop and laptop computers? How do you plan to deal with mobile devices in your classrooms? 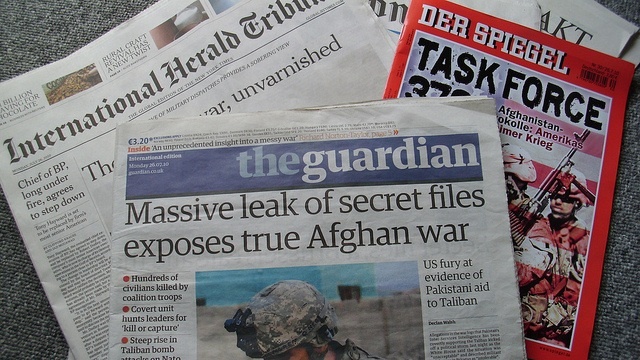 Wikileaks Iraq and Afghan War Diaries (note: since December 3, 2010, it has been impossible to reach the site through this URL. For more information on this, see here.) has once again dominated broadcast news in recent days, not only in the U.S., but elsewhere around the globe. Aside from the short- and long-term political, military and economic ramifications from the leak of these documents, one thing is clear: the Internet has made it extremely easy for anyone just about anywhere to virally disseminate information on a global scale. So what does that mean for you, your colleagues and your students? In this week’s session we’ll take a look at concerns related to online rights and safety as reflected in the multiple perspectives found in our readings. We’ll discuss here how these issues impact us personally and professionally. I hope you can all find some way to stay safe and warm in the aftermath of Storm Alfred. In March 2010 Professor Joseph Madaus from the Neag School of Education and Nicole McClure, a graduate student in our department and then member of our course, shared with us why and how we can implement Universal Design for Instruction in our teaching. 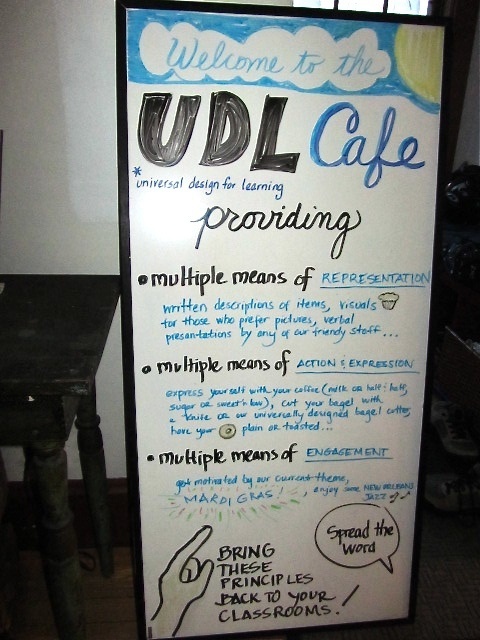 About 25 minutes and 30 seconds into our recorded USTREAM session, Professor Madaus tells us that “UDI is the proactive design and use of inclusive instructional strategies that benefit a broad range of learners including students with disabilities.” But what does this look like in actual practice? This Wednesday we will have the opportunity to learn about Universal Design for Learning from Ira Socol, who blogs at SpeEdChange, where he takes a critical look at our current educational systems and what we can and should do to create learning environments where all students can succeed. We’ll be meeting with Ira Socol on October 26, 2011 at 11:30 a.m. EST in LearnCentral and welcome others to join us. Prior to our session, we’ll submit our questions to Ira based on our readings for this week and our own experiences, interests and realities. During our face-to-face time we’ll take a look at some best practice examples of UDL in college-level courses. Our materials for this week follow a parallel thread, in that they call into question traditional assessment models, from end-of-semester exams and teacher-driven assessments to the traditional grading structures found in classrooms from kindergarten to graduate school. We also have several examples in which educators have used socially mediated technologies to provide more personalized and meaningful learning, as well as teacher reflections on their efficacy. What do you think about these readings? Do traditional grading structures no longer have a place in our current and future learning environments? If so, what could take its place? Storytelling is a unique and universal human need. Our stories help us make sense of our world, help us identify as members of a group and help us navigate the stages of our physical and emotional lives. 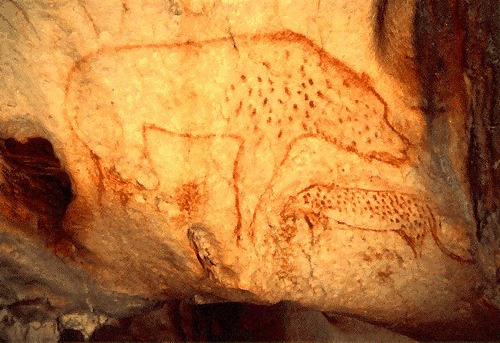 Films today, one could argue, address the same primal needs as cave drawings did thousands of years ago. Our materials for this week focus on why and how Web 2.0 storytelling in particular can enrich and support our students’ learning. In Web 2.0 Storytelling: Emergence of a New Genre, Alexander and Levine argue that user-generated content as well as the ability to offer multilinear, hypertextual content are distinguishing hallmarks of Web 2.0 storytelling. Be sure to read Bryan Alexander’s and Alan Levine’s article while signed into Diigo as I’ve saved it to our group. Feel free to contribute to the discussion that has already started in that venue by responding to questions and comments, leaving your own comments or adding highlights for our group. In light of the kinds of storytelling venues we explore this week, what kinds of storytelling have you used with your students and why and how have you used them? An example of Viddler’s time-line commenting capabilities in Mark Pesce‘s 2008 talk, Hyperpolitics (American Style). The ability to interact with online resources and collaboratively engage with others around those resources may well have the most profound impact on you and your colleagues as researchers and scholars. But to take advantage of the full potential of the collaborative, sharing aspect of these environments could require a rethinking of how and with whom humanities scholars work. This week you’ll have the opportunity to evaluate tools that make use of social annotation. How useful could they be for our students? Do you think it’s possible to have our students use these tools to learn and share collaboratively if we don’t use them ourselves to support our own learning and sharing? Do you agree with Richard Miller, who challenges us to “push ideas into our culture”, by placing them out on the web, thereby “showing the world what the university is for and that’s for ideas that belong to no one.”?